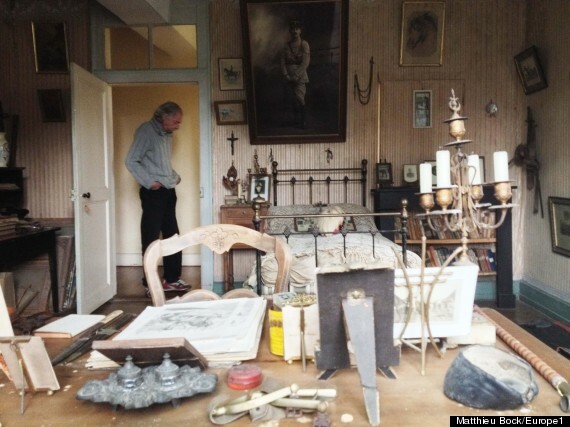 He Bought A New House And Discovered A Room That Hadn’t Been Touched In A CENTURY! What I am about to tell you is a really minor example of what we’re going to get into in just a moment, but about six months ago my wife and I bought a new house. We were going through the extremely large attic, which is more like another floor to the house, and saw this little teeny box over in the corner. It almost looked like a spot the previous owners had forgotten to check. Anyway, we look in and we saw this big of Christmas decorations. Used a couple of them on the tree this year. Daniel Fabre recently purchased a home in France with a very special stipulation that accompanied the deed. Typically when you purchase a home, the previous owners will have completely cleaned out their belongings and given you a new space to fill. That’s not the case at all with Daniel’s new home and he plans to keep it that way. In fact, this room has been kept that way for almost 100 years years now with 2 previous owners keeping the room in the exact same condition as the day they purchased the home. It’s quite a unique story. Hubert Rochereau was a Second Lieutenant for the French Army during World War 1. He left home for war and his parents left his room alone so it would be the way he left it upon his return. Hubert was killed from wounds inflicted in battle in Belgium on April 26, 1918. His parents were obviously devastated and sold the home in 1936 with a special clause in the deed. The soldier’s bedroom must remain exactly the way it was for 500 years. 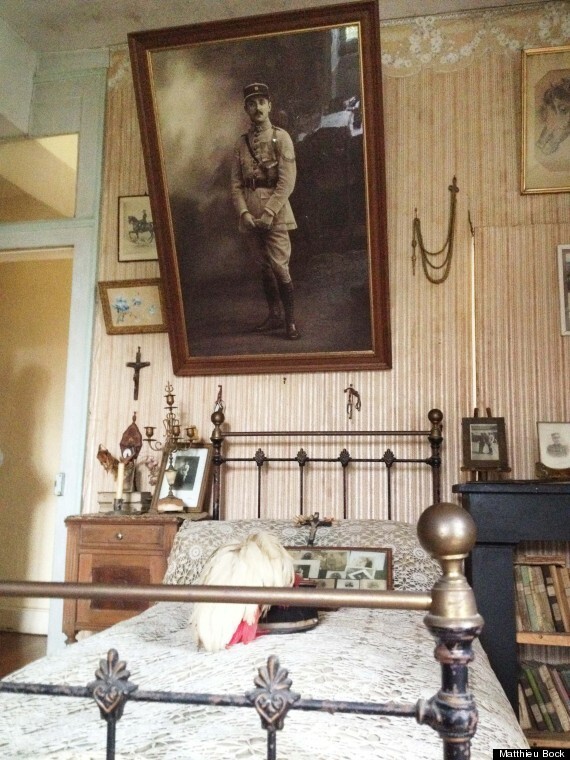 So far, it’s been almost an entire century and the bedroom has been left exactly as it was the day Second Lieutenant Hubert left for war. The bedroom is still full of all of his possessions. His military jackets have holes from moths and have been tattered over the years. His desk is still covered with his military paperwork and personal pictures. There’s even an untouched gun collection. The current owner of the home has done some research and has found that there is no legal basis binding him to keeping the room that way. He does respect the history and memory of this veteran and plans to keep the room the same. There have been 2 previous owners who have felt the same way and have kept the room perfectly intact. 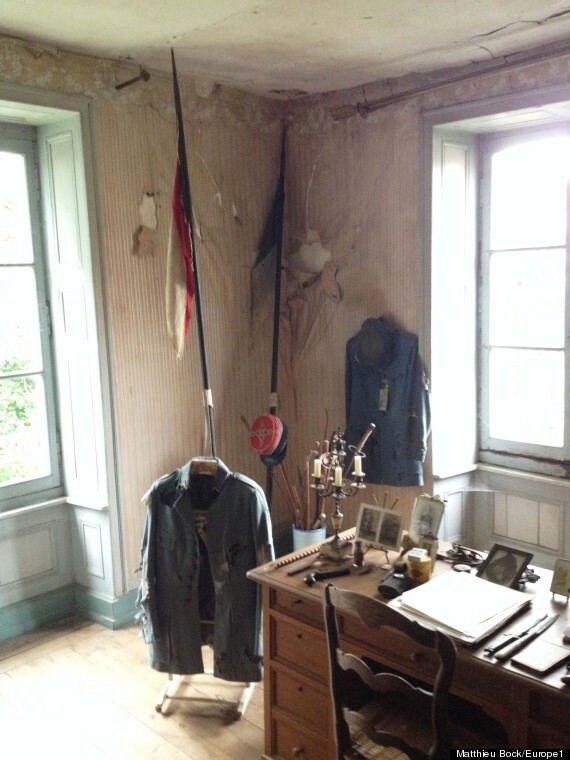 The room is a part of history that has been perfectly preserved in its original state. It is an honorable tribute to Second Lieutenant Hubert Rochereau who also has his name listed on a monument in Libourne, France where his regiment was based.